US and Australian shelves are suddenly straining under the weight of planned climate change policies. 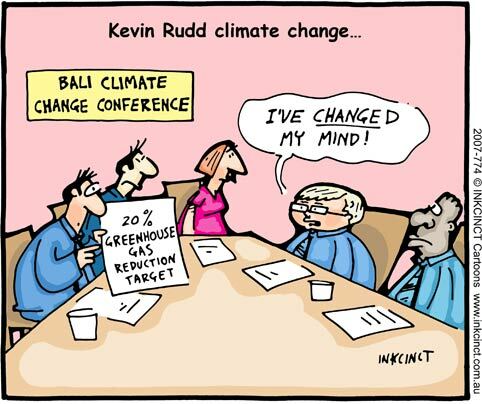 In the space of a few days, American Democrats appear to have put climate and energy legislation on hold in favour of a Senate bill on immigration and Rudd’s government down under has unequivocally placed its proposed cap and trade scheme in political storage. Behind both of these decisions is a complex set of national, political circumstances. In the case of the US it’s clear that Democrats have spotted electoral gain in forcing the Republicans’ hand on immigration and also significant risk in not doing so. As a result, climate and energy may have to wait; the political cost being the probable loss of the support of Republican Senator Lindsey Graham.